For unknown reasons, a sizable number of Americans who qualify for premium subsidies are passing them up by buying health insurance outside the Affordable Care Act's insurance exchanges. That could be affecting the health of the individual insurance market, particularly to the extent people are buying plans that do not comply with ACA insurance rules. 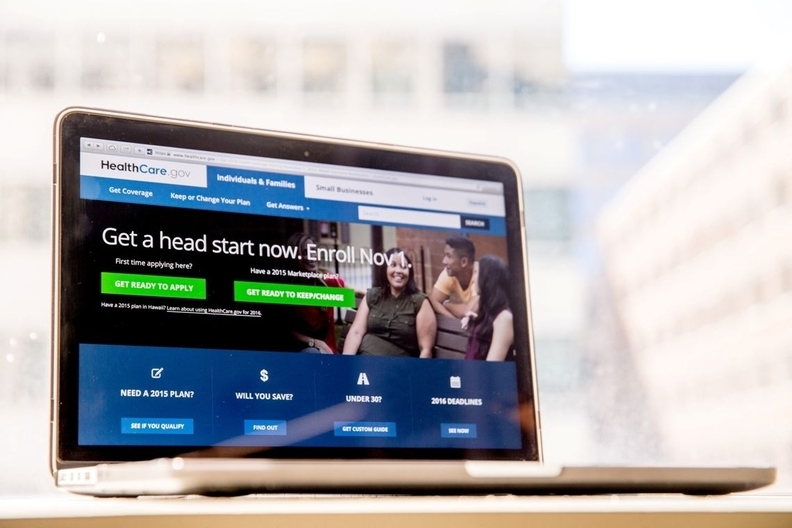 Nearly 41% of the 6.3 million people who bought off-marketplace plans in 2015 had incomes from 100% to 400% of the federal poverty level, according to a new study in Health Affairs. They could have received federal tax credits to make premiums more affordable, but only if they bought insurance through an ACA exchange. In 2015, 8.6 million adults were enrolled in exchange plans. Nearly 4% of off-exchange customers had incomes from 101% to 138% of poverty, while about 15% had incomes from 139% to 250% of poverty. Both groups were eligible for large premium and cost-sharing subsidies. Another 22% earned 251% to 400% of the poverty level, qualifying them for relatively smaller premium subsidies but no cost-sharing assistance. These groups totaled about 2.5 million adults, said John Goddeeris, an economics professor at Michigan State University who is the study's lead author. "I have to think a lot of them just aren't aware they could get better deals buying through the exchange," he said. "Probably a good number of people are making a mistake." Providers, insurers, and enrollment assistance groups would like to increase the number of subsidy-eligible people—particularly younger and healthier customers—who sign up for coverage through the exchanges. Sales of off-exchange products may work against that, however. The study found off-exchange purchasers were generally in better self-reported health than people buying through the exchanges. That's particularly a problem for the ACA market to the extent that off-exchange purchasers are buying non-ACA compliant plans. Such products include short-term plans as well as plans exempted by states from ACA rules because consumers have been continuously enrolled in them since before those rules took effect. Enrollees in these non-compliant plans, who tend to be healthier, are not part of the ACA risk pool. That results in higher premiums in the ACA-regulated market. "States that permit transition products and sale of short-term policies are having more problems with their ACA-compliant markets than states that do not permit such products," said Katherine Hempstead, who directs the Robert Wood Johnson Foundation's work on health coverage. As an example, she pointed to Iowa, where more people are enrolled in noncompliant than compliant plans and the ACA market is collapsing. Twelve states bar the sale of short-term health plans, while 18 have prohibited the extension of transition plans, according to Hempstead's research. It's thought that some people buy plans off the exchanges for various reasons including a desire for a plan with a broader provider network, the greater simplicity of buying directly from an insurer or through a broker, or political opposition to Obamacare. Beyond that, surveys have found that many uninsured adults aren't aware that financial assistance is available through the exchanges. Consumers also may choose to buy short-term plans off the exchanges to get a lower premium, though they give up the ACA's protections, such as guaranteed renewability regardless of health status. Hempstead said she's hearing from insurance brokers that sales of short-term plans are up significantly, perhaps because the Trump administration signaled it won't strictly enforce the ACA's tax penalty for people who don't buy ACA-compliant plans. The new Health Affairs study suggests that a greater effort is needed to educate consumers about the opportunity to buy subsidized coverage through the ACA exchanges. In contrast, the Trump administration recently reduced funding for enrollment assistance. "People are leaving subsidies on the table and maybe their coverage isn't as affordable as it could be," Hempstead said. "There is an opportunity to improve consumer choices by providing people with more information."